I had never seen a pastry blender before until my friend Estelle whipped out that crazy looking weapon. I make a lot of quiche and I have always found it annoying to make the dough (even though it is pretty easy to make). Having my fingers in the butter and trying to mix that in with the flour is definitely not my cup of tea. 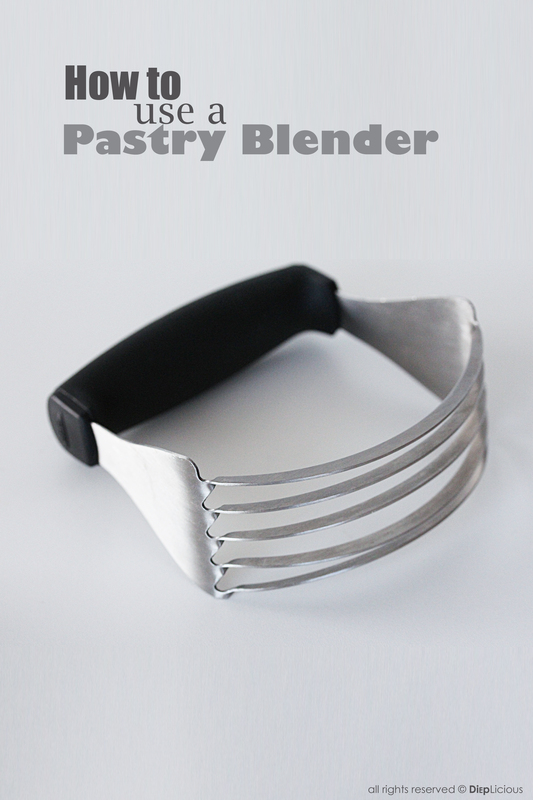 The pastry blender, which sounds like a bad title for a horror movie, is the best. Put the ingredients in a bowl and use the pastry blender by mashing the blades into the butter and flour. It is crazy fast to put the dough together. Ha ha it might be me who is weird! Who knows? In any case if you like your hands in the dough save yourself some space and money and enjoy the experience fully.